You might not associate Auckland with all things sweet and sugary, but that’s about to change. 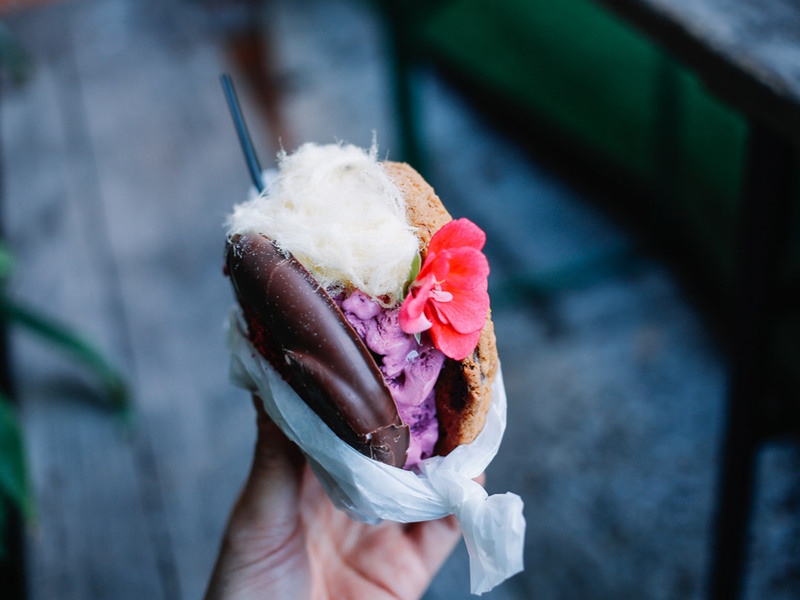 From supersized ice cream sandwiches to bespoke bombe alaska, check out our Listopedia of the best desserts around town. Click on the video above for the full guided tour. Auckland has a pretty fierce donut scene, but with four locations around town, Little & Friday’s cream and raspberry donuts are infamous. What’s all the fuss? We’re talking about donuts filled with a creme diplomat and raspberry coulis, which is then coated in icing sugar. The soft dough and fresh Kiwi cream is a winning combination. Get in early because they’re known to sell out. Little & Friday also serve a great cup of coffee, along with savoury and sweet treats. They’re one of my favourite go-to lunch spots. Four locations Auckland wide. Milse’s location might be small, but they have a big reputation around Auckland for being the go-to dessert bar. Located in downtown Britomart, Milse serves up quirky ice-cream flavours and sweet treats – think Earl Grey macaroons, White Chocolate, Kiwi and Salted Caramel Terrines and Pumpkin, Mascarpone and Spice Tarts. The real star of the show here is Milse’s Bombe Alaska ice cream, which is a successful and innovative take on the classic. 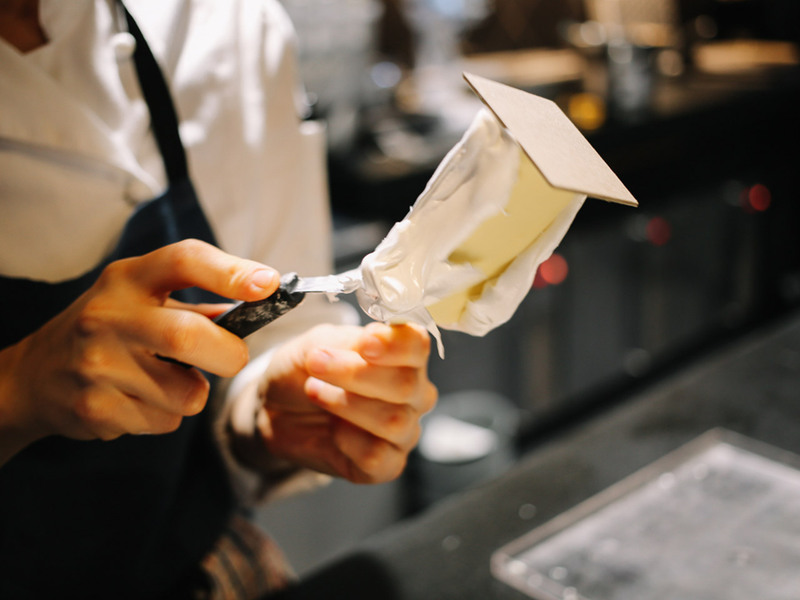 The vanilla ice cream base is paired with local, seasonal flavours like feijoa or pear, before being dipped in white chocolate, covered in soft meringue and blow-torched to finish. It’s the perfect combination of creamy, crunchy and gooey. 31 Tyler St, Auckland, 1010. Serving up raw treats which are gluten, dairy and refined sugar free, The Raw Kitchen has been able to recreate some of my favourite sweets in a healthy way. Using ingredients like cacao, nuts and creamy coconut, their raw Snickers bar cake is a solid competitor against the original. Creamy layers of chocolate and peanuts are the perfect match with an almond milk or matcha latte. 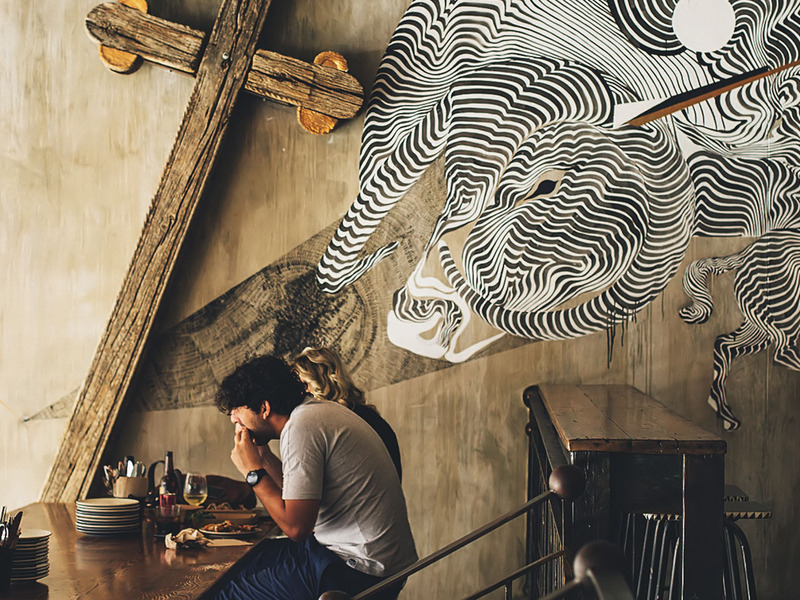 With two locations in Auckland, The Raw Kitchen is the perfect guilt-free spot for afternoon tea. Two Locations Auckland wide. If you see queues of people down Auckland’s central Queen Street, it’s probably because they’re waiting in line for Giapo, a modern parlour featuring handmade ice-cream, gelato and sorbet in traditional and innovative flavours. What’s different here is that Giapo’s philosophy is to taste first, then visualise. When entering the store, you won’t be able to see the ice cream – you’ll first choose a few flavours that sound interesting, taste a few and then select one. The team will carefully create a unique masterpiece just for you. 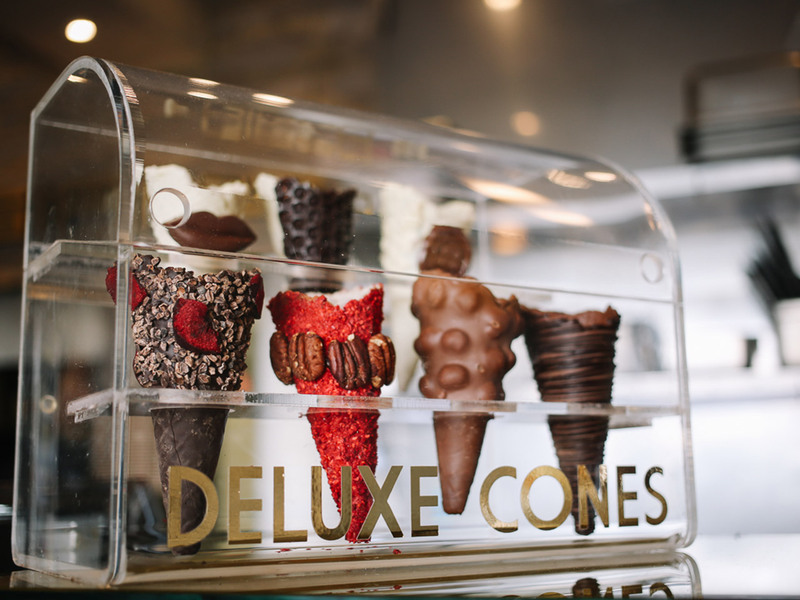 With creations changing all the time, the team will talk with you to create a sweet work of art like Giapo Buono, a hazelnut flavoured ice cream covered in toppings like gold painted hazelnuts and blow-torched meringue. Their flavours and combinations are rich, always unique and worth the wait. 279 Queen St, Auckland 1010.